When you need to replace the IC in the PCB circuit design, let's share the tips of replacing the IC to help the designer to be more perfect in PCB circuit design. Direct substitution means that other ICs are directly replaced with the original IC without any modification, and the main performance and indicators of the machine are not affected after the replacement. The principle of substitution is: the function, performance index, package form, pin usage, pin number and interval of the replacement IC are the same. The function of the IC is not only the same function, but also the logic polarity is the same, that is, the output input level polarity, voltage, and current amplitude must be the same. The performance index refers to the main electrical parameters (or main characteristic curves) of the IC, the maximum dissipated power, the highest operating voltage, the frequency range, and the parameters of each signal input and output impedance are similar to the original IC. Replace the heat sink with a small power substitute. The replacement of the same type of IC is generally reliable. When installing the integrated PCB circuit, pay attention to the direction, and the integrated PCB circuit may be burned. Some single in-line power amplifier ICs have the same model, function, and characteristics, but the direction of the pinout sequence is different. For example, the two-channel power amplifier ICLA4507, the pin has "positive", "reverse" points, the starting foot label (color point or pit) direction is different: no suffix and suffix "R", IC, etc., for example M5115P and M5115RP. As long as the functions of the pins are identical, the internal PCB circuit and electrical parameters are slightly different, and they can be directly replaced with each other. For example, ICLA1363 and LA1365 are placed in the sound, and the latter adds a Zener diode inside the IC's 5th pin. The others are exactly the same. In general, the prefix letter is the category of the manufacturer and PCB circuit. The numbers after the prefix letter are the same, and most of them can be replaced directly. But there are a few exceptions, although the numbers are the same, but the functions are completely different. For example, the HA1364 is a sound IC, and the uPC1364 is a color decoding IC; the number is 4558, the 8-pin is the operational amplifier NJM4558, and the 14-pin is the CD4558 digital PCB circuit; therefore, the two cannot be replaced at all. So be sure to look at the pin function. Some manufacturers introduce unpackaged IC chips, and then process them into products named after the factory, as well as products that are improved to improve certain parameter specifications. These products are often named by different models or by model suffixes. For example, AN380 and uPC1380 can be directly replaced, and AN5620, TEA5620, DG5620, etc. can be directly replaced. Indirect replacement means that the IC that cannot be directly replaced can slightly modify the peripheral PCB circuit, change the arrangement of the original pins, or increase or decrease individual components, so that it can be replaced by an IC. Substitution principle: The IC used for the replacement can have different functions and different shapes from the original IC pins, but the functions should be the same and the characteristics should be similar; the substitution should not affect the performance of the original machine. The same type of IC chip, but the package shape is different, the replacement of the new device's pins as the original device pin shape and arrangement. For example, AFTPCB circuits CA3064 and CA3064E, the former is a circular package, radial pins: the latter is a dual in-line plastic package, the internal characteristics of the two are exactly the same, can be connected by the pin function. The dual-row ICAN7114 and AN7115 are basically the same package as the LA4100 and LA4102, and the pins and heat sinks are exactly 180 degrees apart. The AN5620 mentioned above has a heat sink with a dual-in-line 16-pin package and a TEA5620 dual-in-line 18-pin package. The 9 and 10 pins are located on the right side of the integrated PCB circuit, which is equivalent to the heat sink of the AN5620. Connect the 9 and 10 pins to ground and use them. 2. The PCB circuit has the same function but the individual pin functions are different. Substituting according to the specific parameters and instructions of each model IC. For example, the AGC and video signal output in the TV have the difference between positive and negative polarity. As long as the inverter is added to the output, it can be replaced. This kind of substitution needs to change the peripheral PCB circuit and pin arrangement, so it requires a certain theoretical knowledge, complete information and rich practical experience and skills. The internal equivalent PCB circuit and the application PCB circuit have some pinouts that are not marked. When encountering empty pinouts, they should not be grounded without authorization. These pinouts are alternate or spare pins, and sometimes they are used as internal connections. The combination substitution is to reassemble the undamaged PCB circuit parts of the same type of IC into a complete IC to replace the dysfunctional IC. It is very suitable for the case where the original IC is not available for purchase. However, it is required that the PCB circuit that is used inside the IC to be used must have an interface lead. 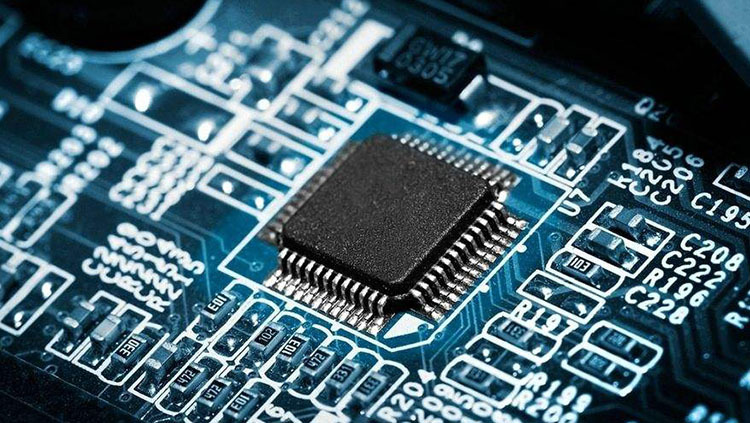 The key to non-direct substitution is to find out the basic electrical parameters of the two ICs, the internal equivalent PCB circuit, the function of each pin, and the connection relationship between the components of the IC. Pay attention to the actual operation. (1) The serial number of the integrated PCB circuit pins, do not connect wrongly. (2) In order to adapt to the characteristics of the replaced IC, the components of the peripheral PCB circuit connected thereto should be changed accordingly. (3) The power supply voltage should be consistent with the replacement work C. If the power supply voltage in the original PCB circuit is high, it should be tried to step down; if the voltage is low, it depends on whether the replacement IC can work. (4) After the replacement, the static working current of the IC should be measured. If the current is much larger than the normal value, the PCB circuit may be self-excited. At this time, decoupling and adjustment must be performed. If the gain is different from the original, the feedback resistance can be adjusted. (5) After the replacement, the input and output impedance of the IC should match the original PCB circuit; check its driving capability. (6) When making changes, make full use of the foot holes and leads on the original PCB circuit board. The external leads should be neatly arranged to avoid front-to-back crossing, so as to check and prevent self-excitation of the PCB circuit, especially to prevent high-frequency self-excitation. (7) It is better to connect the DC current meter in series with the power supply Vcc circuit before power-on. The resistance of the step-down resistor is large or small to observe whether the change of the total current of the integrated PCB circuit is normal. (1) Can the signal be taken out from the C to the input of the peripheral PCB circuit. (2) Whether the signal processed by the peripheral PCB circuit can be connected to the next stage inside the integrated PCB circuit for reprocessing (the signal matching during connection should not affect its main parameters and performance). For example, if the IC is damaged, it can be found from the typical application PCB circuit and internal PCB circuit. It can be used to find the damaged part by the signal input method. If the audio amplification part is damaged, the discrete component can be used instead.